Whether or not you’re planning your own ocean cruise this summer, why not take a journey on the MicroTitantic! On this trip you will discover a cast of microorganisms who come flagella to flagella in an adventure packed with romance and tragedy. 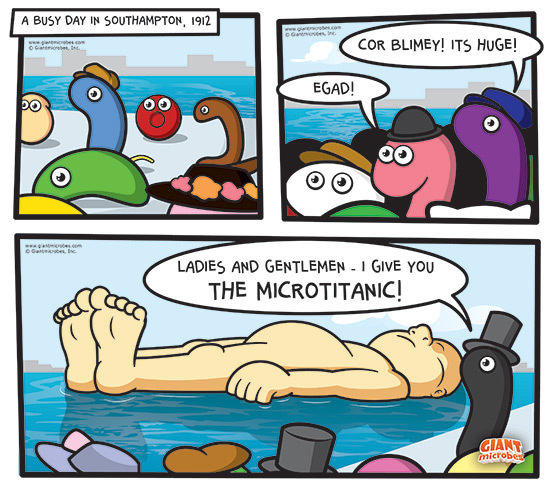 While grasping your favorite GIANTmicrobes, there is simply no better way to explore the microscopic world than aboard the colorful and elegant MicroTitanic!